Rick Toone and I have been communicating on various luthier’s matters since then. He has been a source of inspiration to me and someone I have turned to for advice and ideas for that time. Along with Rob Irizzary of BTEG, and all its contributors and collaborators he has helped keep the momentum going. Back in February this year, I got an e-mail from Rick saying that he and Rob had joined forces and started eLutherie.org, which immediately sounded like an excellent idea. 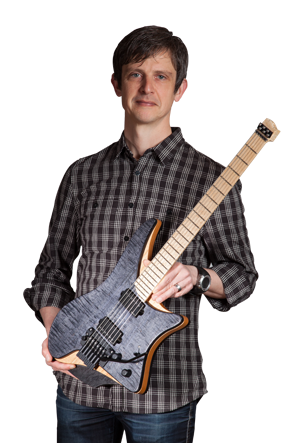 The Design and Technology Exchange portion of elutherie.org is founded on the idea of collaborating with other luthiers in an as private/public/open/closed way as you choose. Rick calls this micro partnerships, which is a fitting term. We have since been sharing ideas and collaborating on bridge designs, patenting issues and more. Look forward to more posts from our respective camps in the early August time-frame. I’ve been told beer and bridge designing is a powerful combination. Earth tilts on its axis and all that. Either way, we are looking forward to your visit.